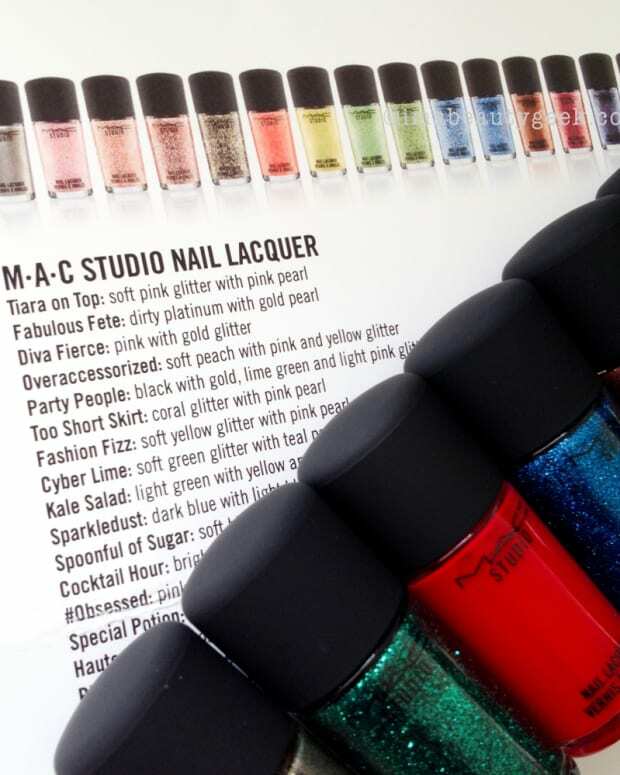 The MAC Fantasy of Flowers nail polish collection is lovely. 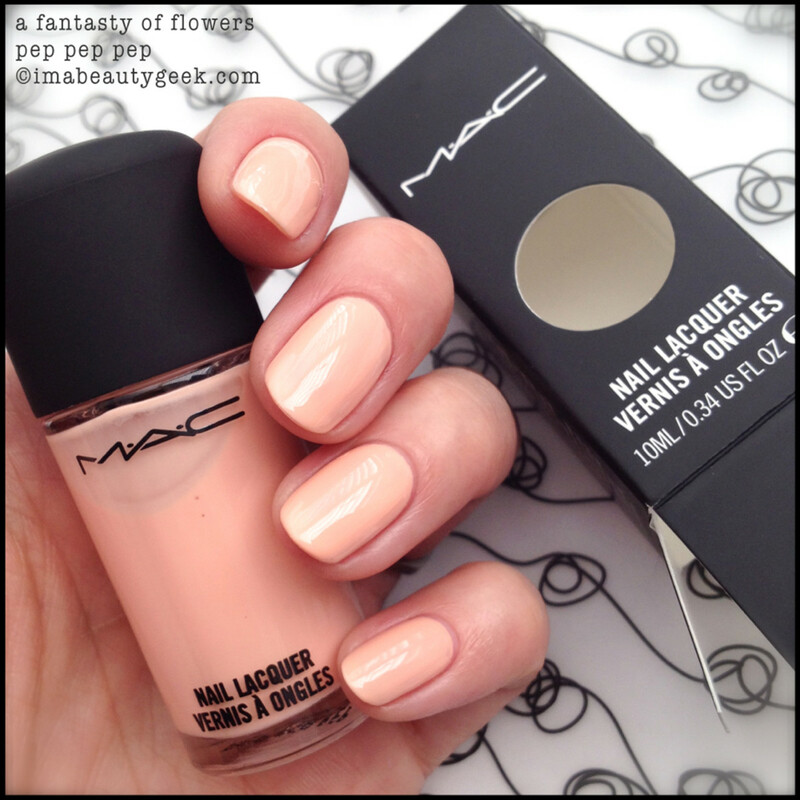 A set of four shades, the lacquers are part of the MAC Fantasy of Flowers makeup collection photographed for this post. They&apos;re also a dream to apply and I think you might need them all. Here, let&apos;s look. MAC Pep Pep Pep ($16 USd/$19 CDN) is an extraordinary pale pastel peachy affair that I think most people will tumble into love with. I kinda did. 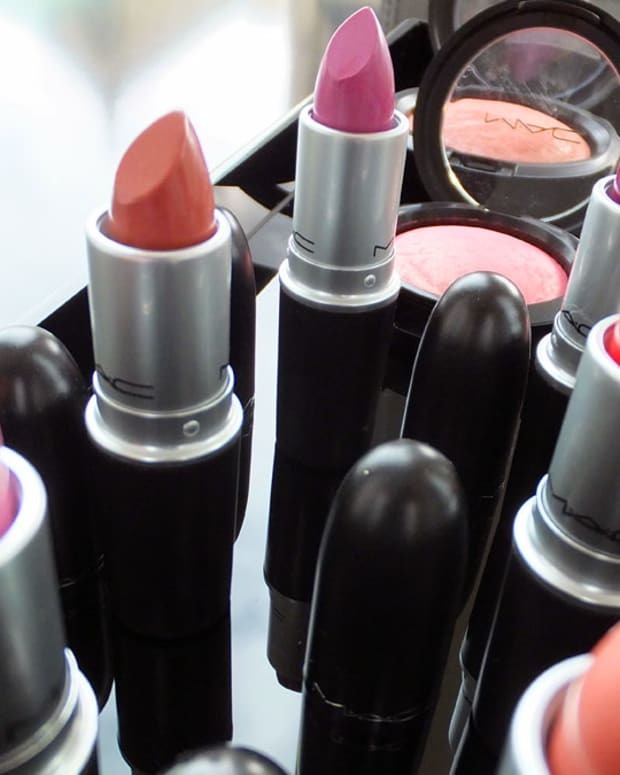 MAC Saint Germain ($16 USd/$19 CDN) gives you a pretty bubblegum pink cream finish in an easy two-coat formula. Yes, you’ve seen it before, but if you haven’t got a shade like it, remedy the situation with this exact one -- it&apos;s that nice to paint on. 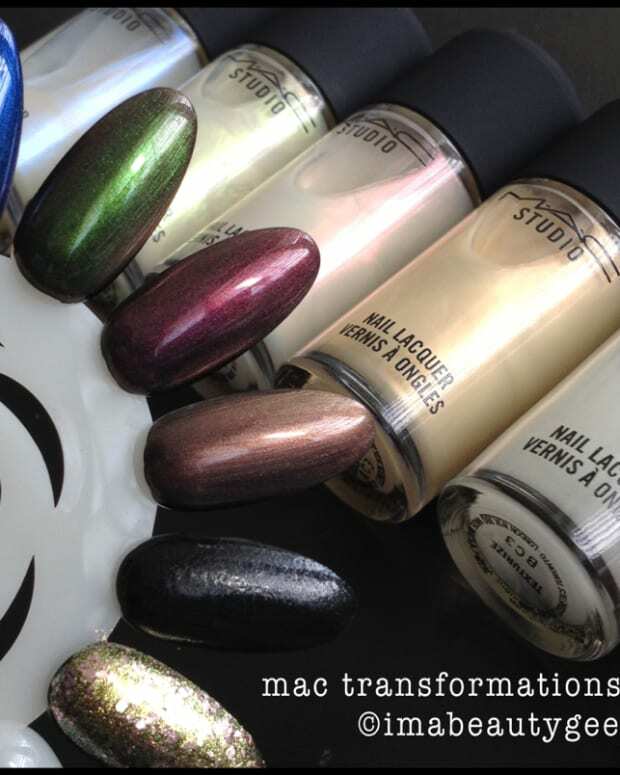 MAC Girl Trouble ($16 USd/$19 CDN) is what MAC terms a "pearl" polish. I call it frost or shimmer. Pearl, not so much. It doesn’t matter though because I dig it. That’s two coats and it’s jam packed with awesome shimmery metallic lilac. Good. Yes. 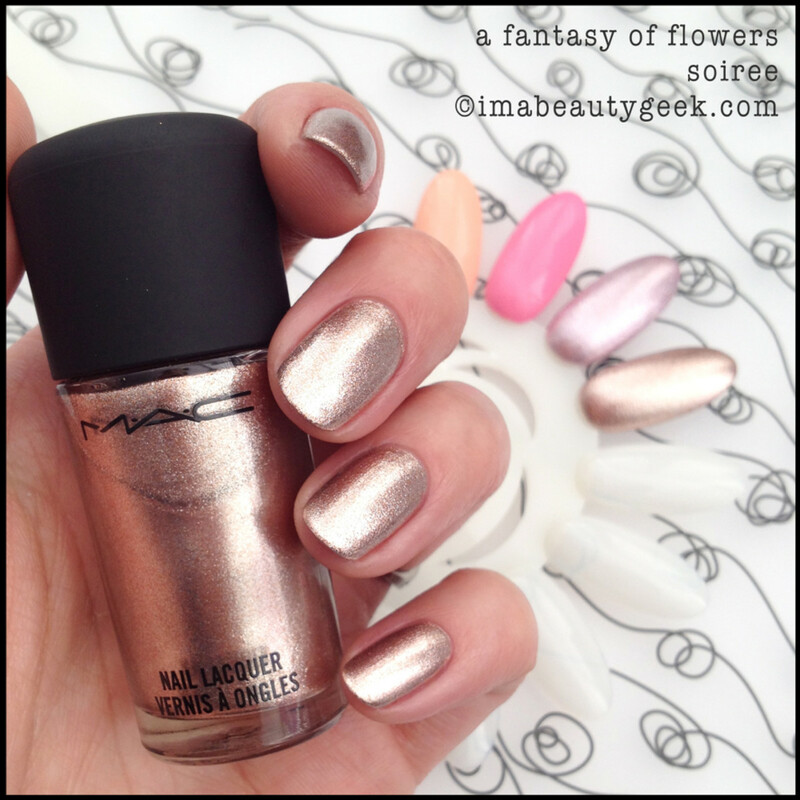 MAC Soiree ($16 USd/$19 CDN) is a bronzey-coppery-silver-gold metallic concoction that to me, borders on genius. They call this a frost. I call it Gimmie That. Do you have a favourite out of these four? If you art, how many of these would you use together? The MAC Fantasy of Flowers collection is available at maccosmetics.com on January 30th, at stores in North America on February 6th, and globally (except for Japan) in March.